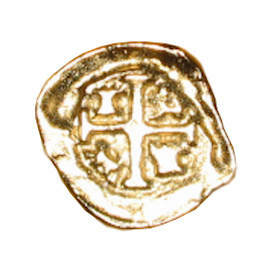 Cast from an original film prop, this replica coin is a copy of the eight escudo doubloon showing the Crusader's Cross. 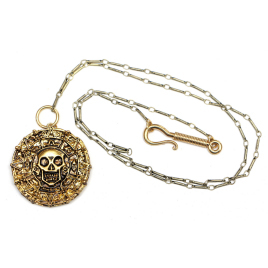 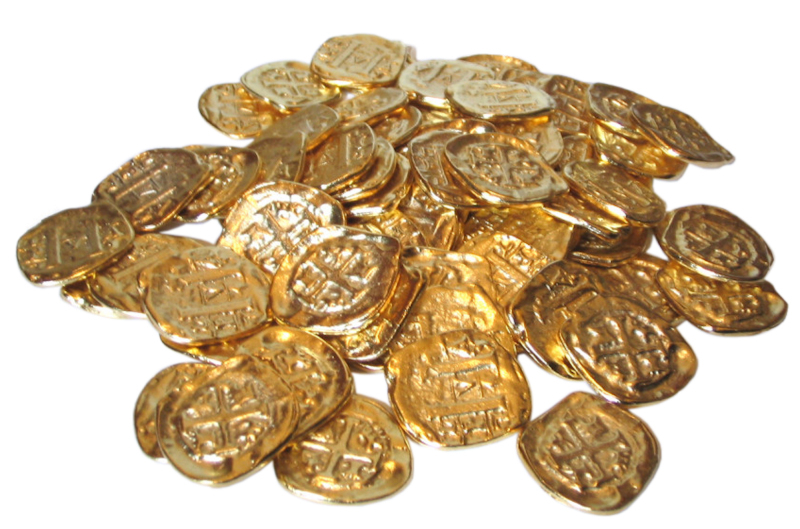 These thick coins are cast in zinc alloy and gold plated with an antique finish, the perfect addition to any pirate treasure. 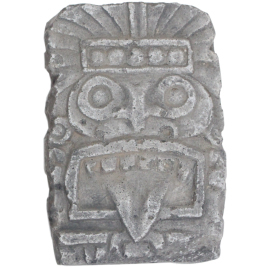 Added this next to my Orelllana mask, nice detailed coins.